Since a lot of my work involves restoring and conserving historic wooden artifacts, I am often faced with odd clamping situations. 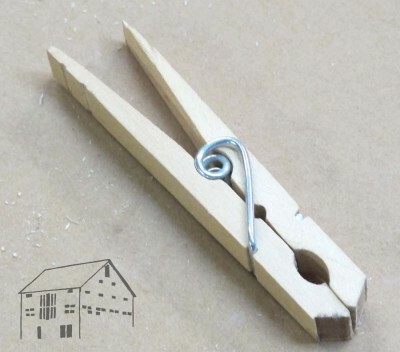 One tool I find invaluable in these pursuits is the humble clothespin. Inexpensive, fairly light clamping force, and almost infinite reconfiguring possibilities, I keep scores of these on hand in the shop. When I open a new pack of clothespins, and I recommend getting the large higher quality ones from the hardware store rather than cheesy ones from WalMart or similar, the first thing I do is to cut bevels on the ends, removing the useless and interfering tips. 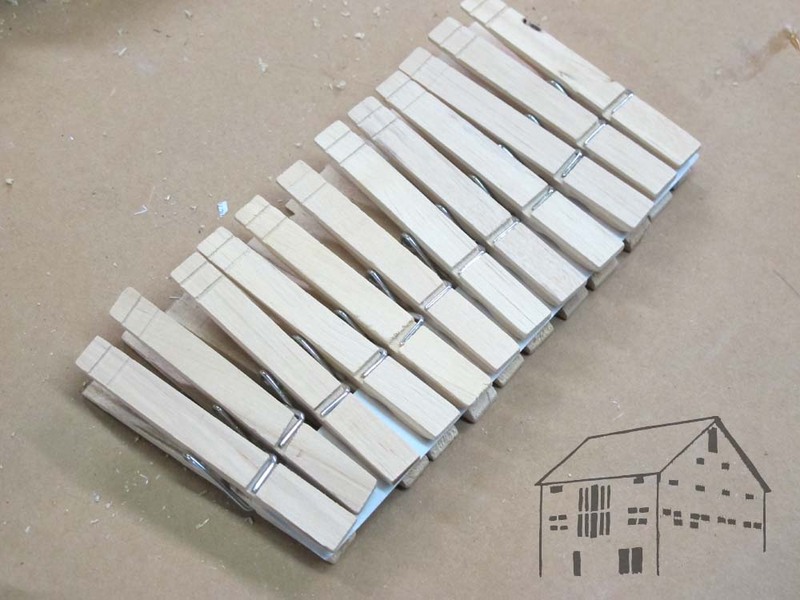 A quick set-up on the band saw accomplishes this in just a couple minutes. These trimmed clothes pins are now part of the clamping stock. When the task requires it, I shape the remaining clothespin tips to whatever form I need. At about 10-cents apiece I do not fuss about their consumption or destruction. 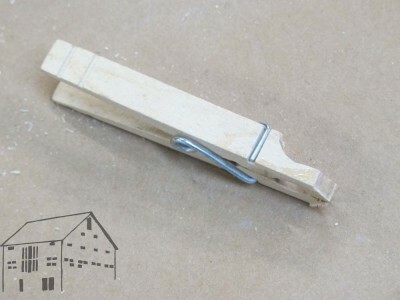 One enterprise I have been following is this fellow’s project to manufacture high-performance clothes pins. I can’t wait to see them when they become reality. I’m ordering two sets.